Q: Can a schefflera plant be propagated? 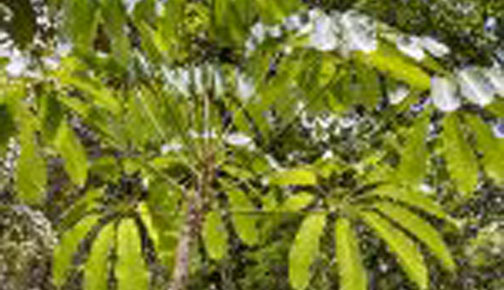 A: Schefflera can be air layered or rooted from cuttings. A cutting will be four to six inches from the tip and placed in a container of coarse soil. Q: How do I plant amaryllis seed? A:. Fill a tray with a light weight soil mix. Strew the seeds onto the surface and then cover lightly with soil. Place the seed bed in a warm area and keep the soil moist. Once the seedlings arise, plant each in a pot and culture for a year before planting outside. Q: The tips of my bougainvillea have all turned brown. Could this be a beetle problem? A: Flea beetle will feed on the tips of bougainvillea in the fall. You should also notice some tattered leaves if they are at fault. You can cut off the damaged leaves and/or apply a general insect spray. Q: I have been saving seeds from my Althea bush (Rose of Sharon). How do I plant them? A: If you have ever grown okra from seed, this is how to treat tour Althea seed: soak the seed the night before planting. Warmth will speed the germination.